What's the secret to getting windows so perfectly clean? 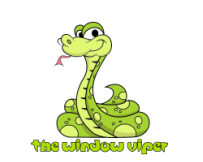 The window viper provides tip top window cleaning services to anyone who needs it. For commercial and high rise work we will travel across the country if we need to. For residential work, we happily serve Saanich, Greater Victoria, Cowichan, Salt Spring Island, Thetis Island, Nanaimo, and Nanoose Bay. First question asked is always about the money, and there's no secrets or surprises here when it comes to how you get billed. Windows are normally $3.00 per window per side with a $100 minimum. The average home costs somewhere between $75-$100 for an exterior window washing. Other services such as moss removal and pressure washing we estimate at $60 per hour. For any off hours emergency calls there is a $100 surcharge. Any service that is scheduled can be cancelled or changed right up to 48 hours before scheduled time. Last minute changes and/or cancellations in under 48 hours are subject to a cancellation fee of $100. What are our Green Standards? We try as best as we can to be leaders in our industry and part of that is being environmentally conscious. We no longer use paper estimates or invoices and when possible we can view you home right online using google. This reduces fuel emissions, and paper consumption. We only used certified biodegradable soaps to minimize our impact on the earth. We do not market using paper flyers, instead we have a highly optimized website that appears on the front page of your google search. It's a common misconception that you need to use bleach and ammonia in order to get your windows clear and free of streaks and stains. The truth is you only need fresh water and a couple simple tools and techniques. The only thing we put in our window water is BIO-vert dish detergent. It is the most bio degradable and eco friendly product on the market and its purpose in our solution is primarily as a lubricant for the squeegee. The soap also helps break down any greasy residue that could be on the glass from pets or insects. When washing gutters and siding it's believed that some sort of chemical or soap should be applied, but this is also false. A water fed pole with a gentle brush will easily clean off any algae or debris without any soaps or additives. This method not only keeps un wanted sulphites and surfactants out of your gardens and ponds, but it also gives them a healthy drink of fresh clean water. Our moss treatment is hydrogen peroxide, soap, and water. We also use this formula on some roof washing as a pre soak. Our soft wash formula is made of sodium hypochlorite, water, and biodegradable dish detergent. Good old rain, it's pure clean water and will not ruin freshly cleaned glass. Spots on glass appear because of dust on the window, when the droplets make contact with this dust it creates water spots. However, a clean window with no dust will not spot up if rain drops land on it. Most roofs are safe to work on in the rain as well, and when cleaning gutters the flow of water helps aid the cleaning process and can instantly indicate it there is a drain blockage in any of the outlets. The rain also helps out when gutter washing or pressure washing. All that stubborn algae buildup becomes very soft on rainy days and is much more willing to wash off. So, let it rain. It keeps things green! There are a lot of different screens out there these days. Most of them can simply pop out by simply lifting gently and either push or pull the bottom out from the window frame. Normally they come off to the exterior, but there are some types that can only be removed from inside of the dwelling. For the type that come off from outside, it's our standard practice to remove and dust off the screen before washing the window. Occasionally there comes a very stubborn screen that is deeply lodged into the window frame and we will opt to leave it in and skip the window to avoid any damage to the fragile screen border. It's always a good idea for you to check and see what type of screens you have before we arrive to do your window washing to ensure proper access to the glass. If your screens require a full service cleaning then we can arrange to remove all screens, and completely wash them with low pressure water and mild eco friendly soap. Anything four storeys and under is safely within our reach from ground. When the regular tools are still too short, sometimes it's necessary to rent a man lift but only in very rare instances. 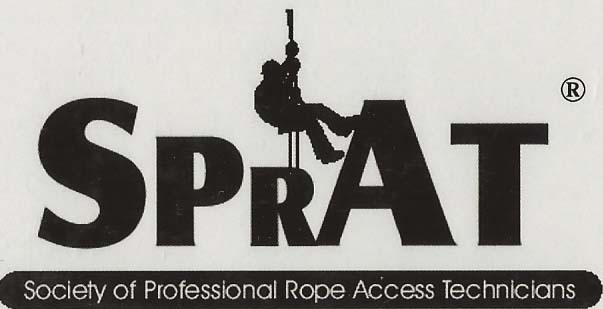 Anything above 5-6 storeys becomes a ropes access scenario and The Window Viper has all the certification necessary to safely tackle the tallest standing buildings on Vancouver Island. At the Window Viper - the sky is the limit! Submit your query to windowviper@outlook.com and we'll post it here!